Shades of pink and white. Comments: One of best in sunny positions. 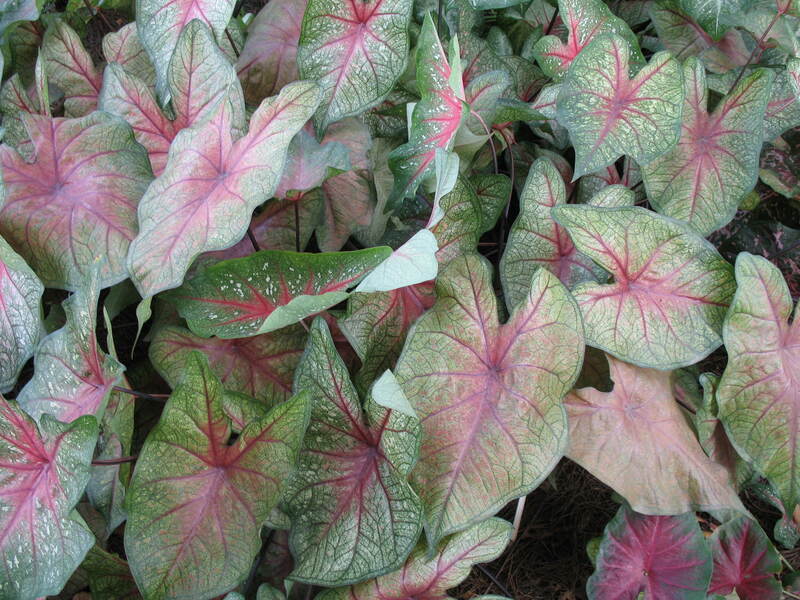 Leaves of caladiums are much larger during summers with frequent rains. Plant caladium tubers in a loose, porous soil. Only a few leaves are produced in tight, compacted soil.